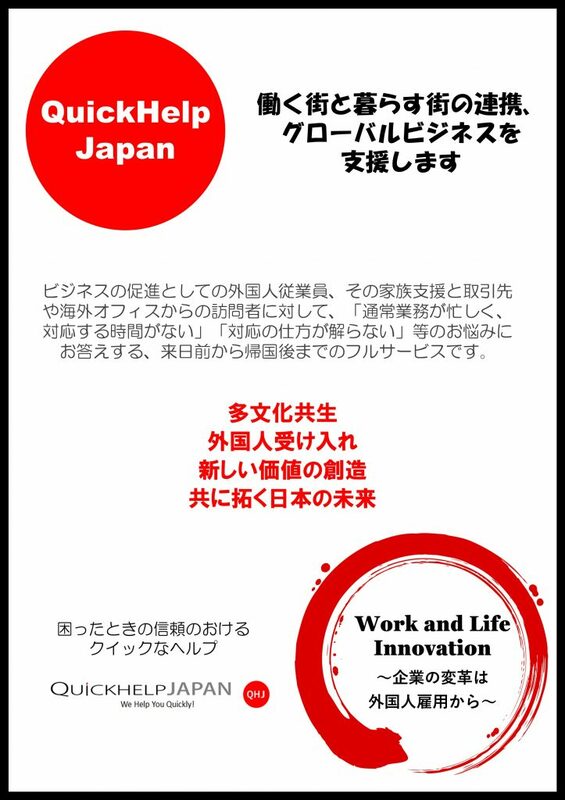 QuickHelpJapan Inc. (hereafter referred to as the “Company”) will promote protection of personal information by hereby setting down the policy on protection of personal information, building a system for protection of personal information, and comprehensively promoting awareness on the importance of and the actions for protection of personal information in all employees. To keep customers’ personal information accurate and up to date and prevent illegal access, loss, damage, falsification, or leakage of such personal information, the Company will take necessary measures, put into effect safety measures, and keep personal information under strict management. Such measures will include, without limitation, implementing systems for maintaining and managing security systems and comprehensively providing employee education. (4) To carry out businesses related to any of the above. • Disclosure is required by law or ordinance. If the personal information is to be used by entrusting the handling of the information to a third party, the Company will determine the suitability of entrusting the information to such a third party by examining, among others, the safety management measures implemented by such a third party, and provide sufficient supervision over such a third party, including, without limitation, by entering into a service agreement with such a third party that will include provisions on confidentiality and for providing appropriate oversight. To ensure the integrity and safety of the personal information, the Company will take sufficient security measures. If any customer requests to examine, correct, or delete his or her personal information, the Company will comply with such a request after confirming the identification of the customer. The Company will comply with all relevant laws and ordinances in Japan as well as other standards applicable to the personal information under its possession, and revise the contents of this Policy as necessary in an effort to further improve its contents. For inquiries regarding the handling of personal information at the Company (including any request for disclosure, correction, addition or deletion, and suspension of the use of the personal information of the customer), please contact below. The Company will respond within a reasonable period of time and scope in accordance with the Company’s bylaws.